Allows other program such as SPC to run concurrently. 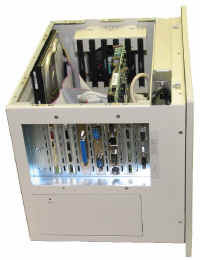 The PIP is a PC-based (WIN2K) industrial computer with integrated SA2000 module which works in conjunction with the auxiliary plug-in modules for interfacing with various machine mounted sensors in order to provide practical functionality in a variety of industrial control applications with presses and similar machines. This product is also available in a "harder" version by using the /PPB . Details below are for a /PIP with only one SA2000 module. Configuration can be doubled if two SA2000 modules are used. Many PC processor, disk size, networking types, and input devices are available since this is a PC environment. For example, wireless LAN could be used in place of cable to lower installation cost or the /BOX can be used with the /BPC option to provide a press located "server" with the user interface located elsewhere on the network. The later is not recommended in operations where a local user is important but more applicable to assembly line, press lines, etc. 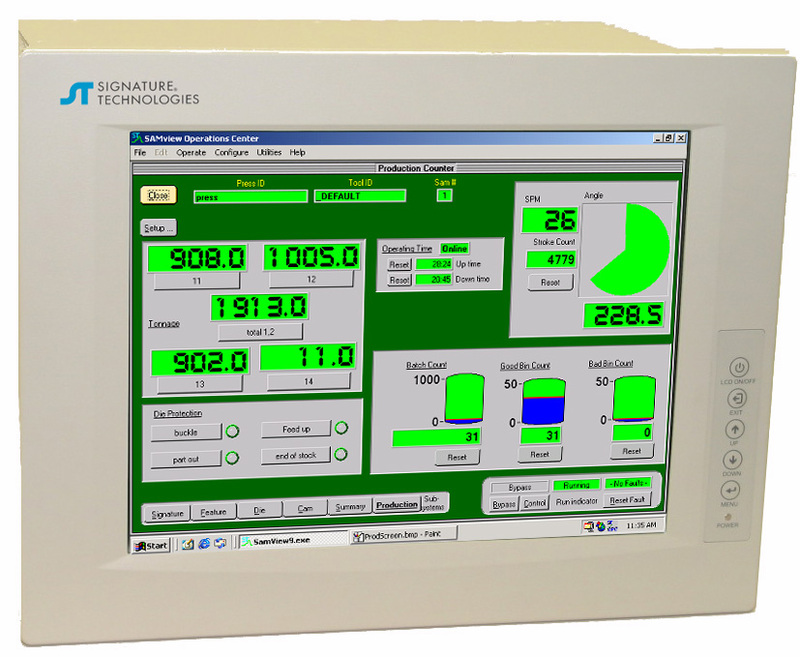 Standard operator panel features production information, productivity data, tonnage monitor, crank position diagram, die-protection status, CAM status, and other selectable information. On-board Flash Memory provides easy re-programming capability and program retention under power-down conditions. Upgrade to enhanced products using only firmware. 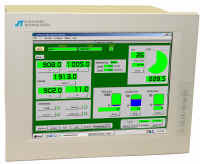 Universal power supported world-wide for PC and I/O.